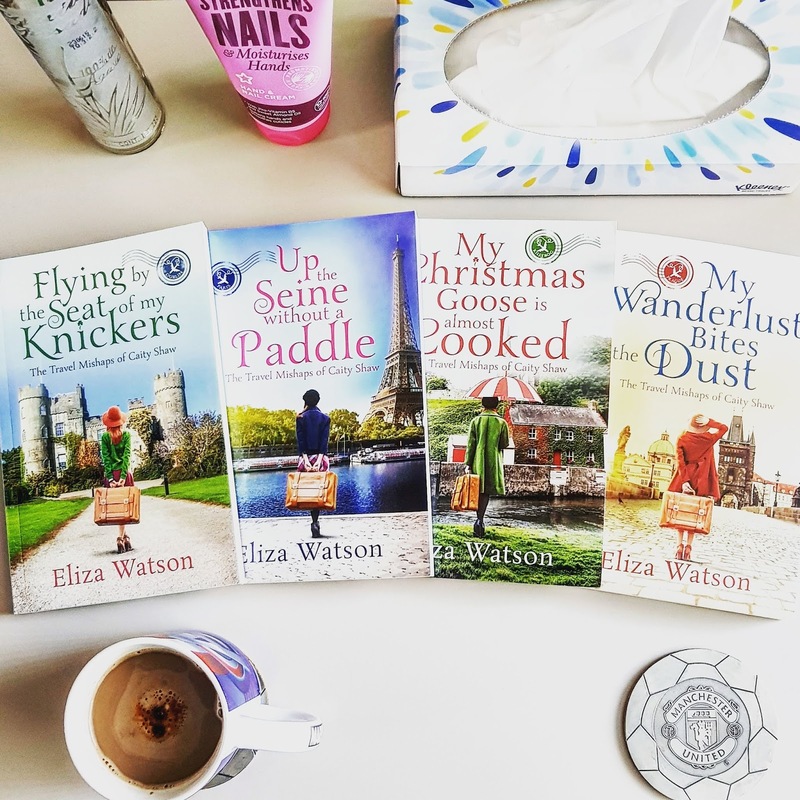 Book Review: My Wanderlust Bites the Dust by Eliza Watson. The Travel Mishaps of Caity Shaw series, is a gift that keeps on giving. It's everything you could possibly want for a book series, the best part being: it isn't over yet! :) Isn't that every book lovers dream? Finding a series you love and getting to the end, only to find there will be more adventures with your new found best friends soon? I know it's mine, especially with this series. Not only do the covers and titles put a huge smile on my face, but the characters and stories within all hold a special place in my heart. I can relate to Caity and honestly, love being by her side. Four books into the series and i'm yet to disagree or argue with her. 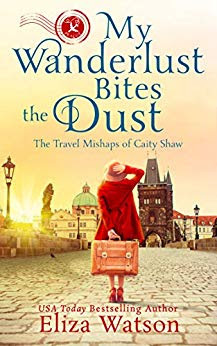 My Wanderlust Bites the Dust finds Caity in Prague. She's actually feeling quite tired with all the travel, the meetings, events and always finding bosses who are mean. Then there's the fact that working different events mean she rarely gets to see her boyfriend Declan. They catch a few days with each other here and there when they can, but it's just not the same. This particular event, in Prague, sees Caity take on every role you could possibly have in a meeting and even includes catching a cricket in a haunted hotel room and being accused of stealing fancy Macaroons! It's no wonder Caity is trying to figure out if this is what she really wants, or if there's a possibility of her doing something more stable. 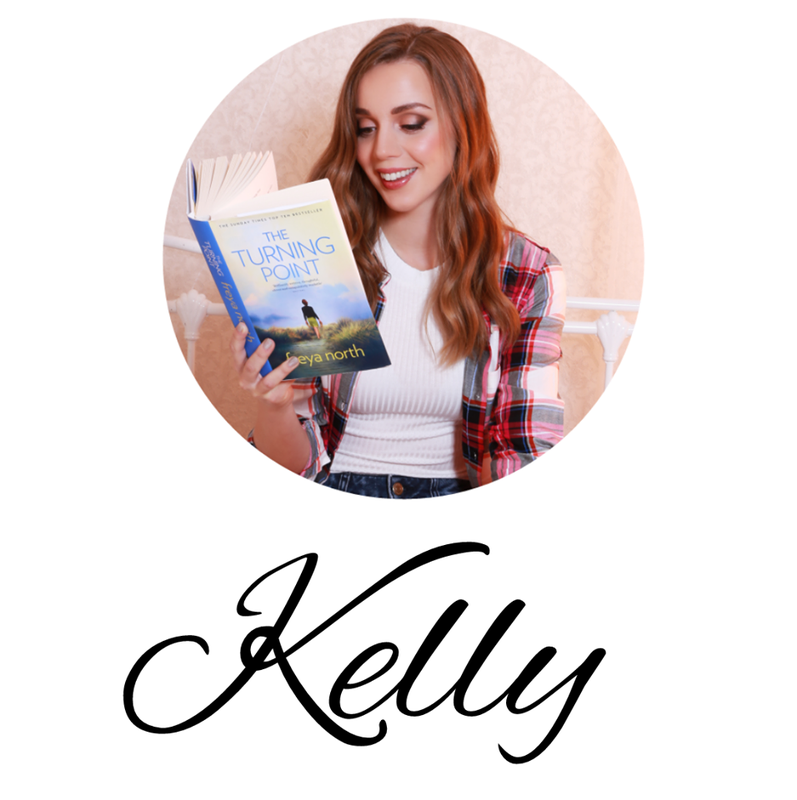 There may be lots of questions Caity needs to find the answers to, but one thing she knows for sure is: there is something special about Ireland. I absolutely love sitting down to catch up with Caity. Following her around the world is quite the adventure. The amazing thing is, I find myself connecting with what she's going through in every book. It's like somehow our lives have aligned and the lessons she is learning just so happen to be lessons I need to learn at this particular moment too. Whether it be: standing up for herself, stepping out of her comfort zone, or following her heart, I feel like it's been just what I needed to hear at just the right time too. I get so excited when Eliza contacts me about these stories, because they really do brighten up my day. The writing is easy going, emotional and very real. I enjoy that there are bits of Eliza's life woven into Caity's story because I know she knows what she's talking about, so it makes the stories very authentic. I can see Ireland, I can imagine event planning meetings and then I can wonder about what stories are true and what mishaps are real! It's all tons of fun and I am always thoroughly entertained. 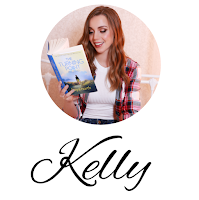 Thanks so much for the wonderful review Kelly. I'm so glad you connect with Caity. And yes, sometimes there is a fine line between fiction and non-fiction when it comes to Caity's mishaps. :-) Thanks again!